Francois Villard is one of the leaders of the Northern Rhone Valley. 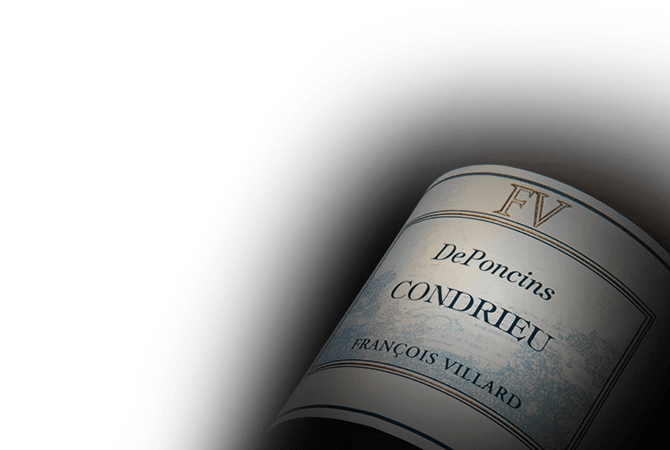 His 30 hectares of vines are spread over prestigious appellations such as the Cote-Rotie, Saint Joseph, Condrieu, Saint Peray, and more. Originally a chef, and always passionate about wine, he possesses professional training as sommelier. In 1989 he planted his first vines in Condrieu, and produced his first 400 bottles in 1991. His winemaking style creates concentrated and powerful wines, some of the best in the region, which cannot be missed.